Google just released Google Tone, a new Chrome extension that allows someone to send a URL to all other Google Tone users within earshot. 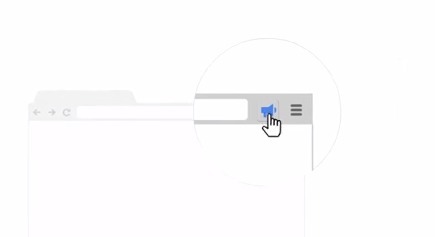 Clicking on the Google Tone icon emits a series of pleasant chimes that are received and then interpreted (via microphone) on the other devices which prompt the other users to open the broadcasted URL. I see HUGE potential in the classroom. Imagine the amount of time a teacher could save by simply broadcasting the URL to all student devices rather than writing it on the whiteboard, publishing it to a website/LMS, etc. Of course, there are other Chromebook management resources (gScholar, Hapara, Insight) that offer the same functionality...for a price. Sure, there are several factors (broadcaster's speaker volume, microphones turned on/off, ambient noise) that would need to be considered before implementation, but the one feature that I feel must be made available is the ability for admins to make the extension hidden on student devices. For all practical purposes, students probably wouldn't be broadcasting URLs regularly (or appropriately for that matter). I feel students should simply have a "receive only" version of the Google Tone extension that's hidden (doesn't show up in the Chrome Extension bar). So, Google Tone. Awesome concept, but until some refinements/versioning is developed, might only prove to be a novelty. Check it out, try it out, and leave a comment below!